Facts: I love to dress in all one color. Facts: I'm obsessed with the color olive. Facts: February is a weird mid-season place for fashion. I love wearing all one color because I think it looks sleek and cool. I know some people think it's a boring outfit and a passing trend but Yeezy and I disagree (haha). Blondellamy'Dean LLP was started in July 2012 by Anna Lynn Johnson and Chris McClelland. A Curvy Girl Boutique. Sizes 10-36. Make a record to get a free $5-$50 account credit. 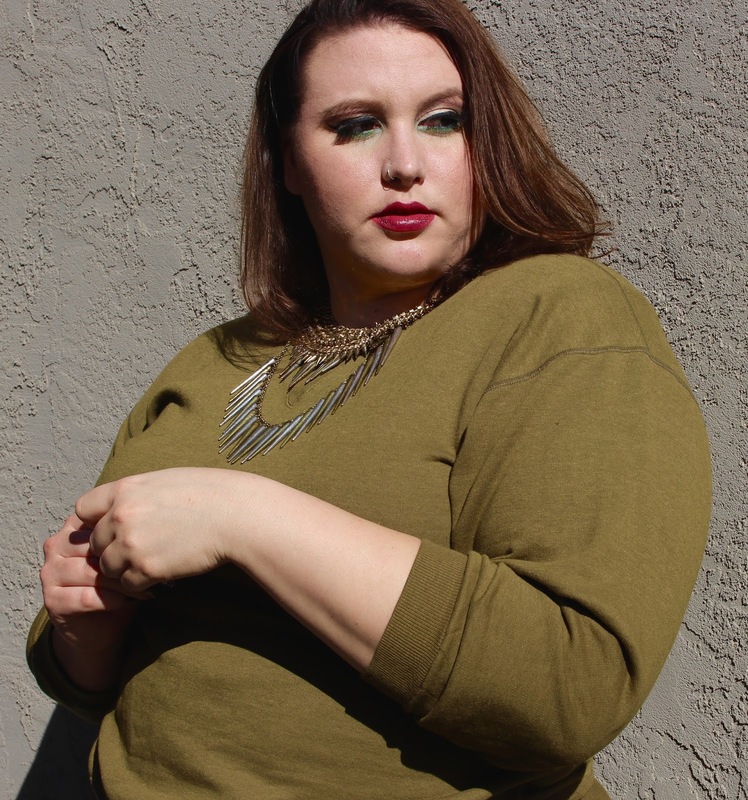 plus size tops and Plus Size Shorts.